A new author for me, I did not realize it was the 11th book in the series but I was able to understand the characters. It compared the use of medical and recreational of marijuana. It is very concise and I learn a lot. Hannah Ives agrees to accompany Maryland State Senator Claire Thompson to Colorado for a fact-finding mission on marijuana where it is legal. Claire is using medical marijuana as a cancer survivor. Maryland is considering a bill to legalize marijuana. Claire selected a recreational tour of marijuana. While there a member of the group is murder and a robbery B&B profits occur. Hannah proved 11th answers. I recommend the book. I will read another book by this author. 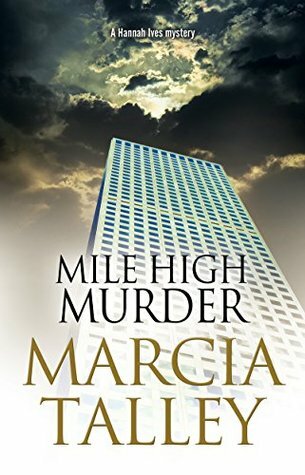 This entry was posted in #NetGalley, Books, Uncategorized and tagged Hannah, Marcia Talley, marijuana, mystery. Bookmark the permalink.